Want to add the latest color-block trend into your wardrobe, without having to spend a lot of time and/or money to do so? Erin of the Sewing Rabbit Team has a fantastic DIY skirt that even the beginner seamstress can handle. 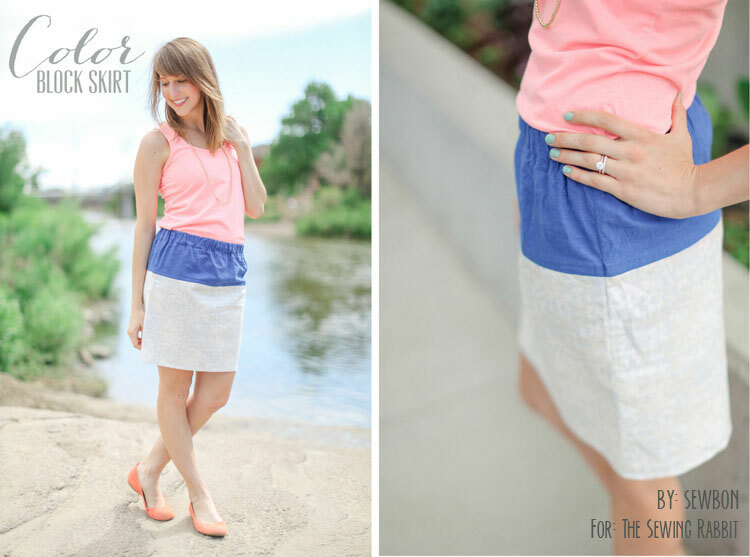 How to sew a quick and easy color-block skirt. First of all, I want to give a BIG HUGE thanks to Jess for choosing me to be part of the Sewing Rabbit Team. I’m so excited to be working alongside such a talented group of ladies and I’m thrilled for this opportunity to push my boundaries with sewing and blogging! Summer is my absolute favorite season and I love to wear skirts and dresses as much as I can before the weather gets cold here in Colorado. I’m on a skirt kick right now, and I’m excited to share my Easy Color Block Skirt Tutorial with you all. 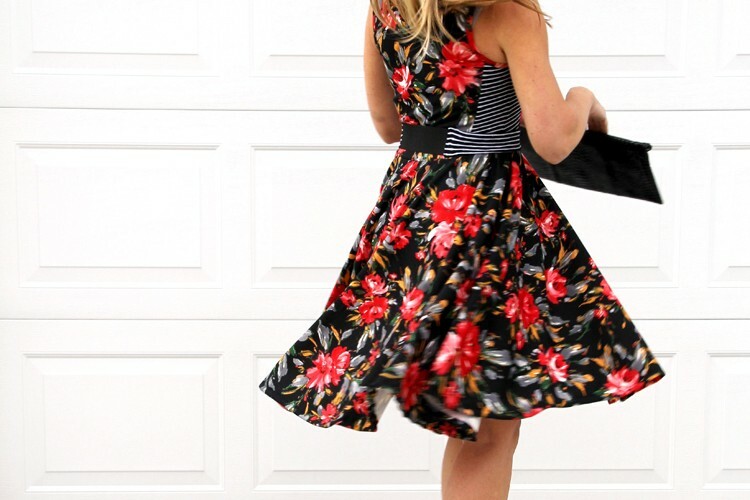 This skirt is pretty easy to make, so this is a perfect project for the beginner seamstress. 1. Cut 2 rectangles out of your main fabric and 2 rectangles out of your contrast fabric. For the main fabric, I used the width from the bolt (about 44 inches) and 13 inches tall. I then cut it up the middle so I had 2 rectangles of 13 x 22 inches. I used Dear Stella Designs Bar Code in Gray. 2. 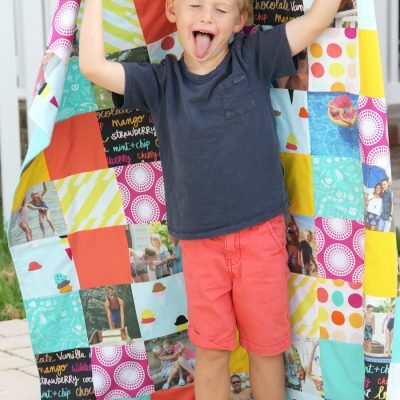 Cut out 2 rectangles out of your contrast fabric. I used the width from the bolt again (about 44 inches) and I cut it 9 inches tall. I, again, cut it up the middle so I had 2 rectangles of 9 x 22 inches. I used Kaffe Fassett Shot Cotton in True Cobalt. 3. 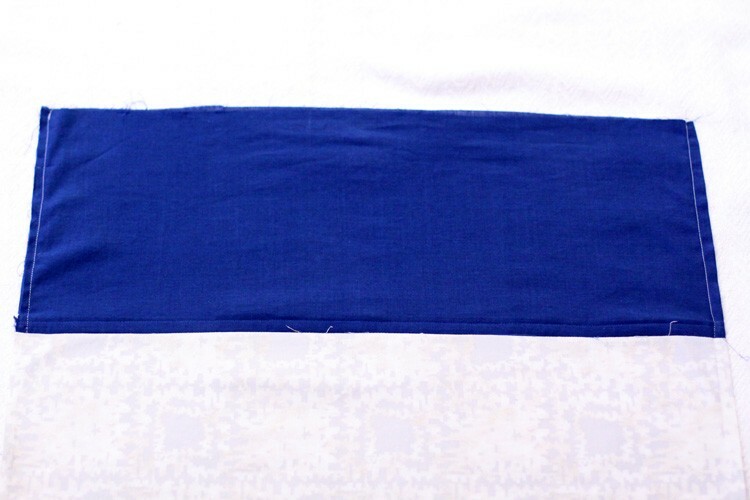 Pin your contrast fabric to your main fabric, wrong sides together and aligned on the top. Stitch a ¼ seam. 4. 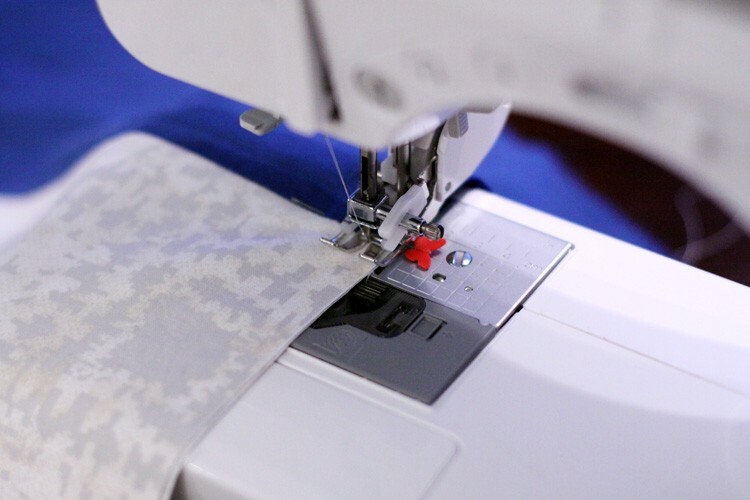 Press your seam and flip the fabric so the right sides are together and stitch a ½ inch seam. 5. Press the seam up towards the contrast fabric. 6. Top stitch ¼ inch. 7. Repeat for the other rectangles. Now you have a front panel and a back panel. 8. Now, pin the front panel together with the back panel, wrong sides together. 9. Stitch up the sides with a ¼ seam. 10. 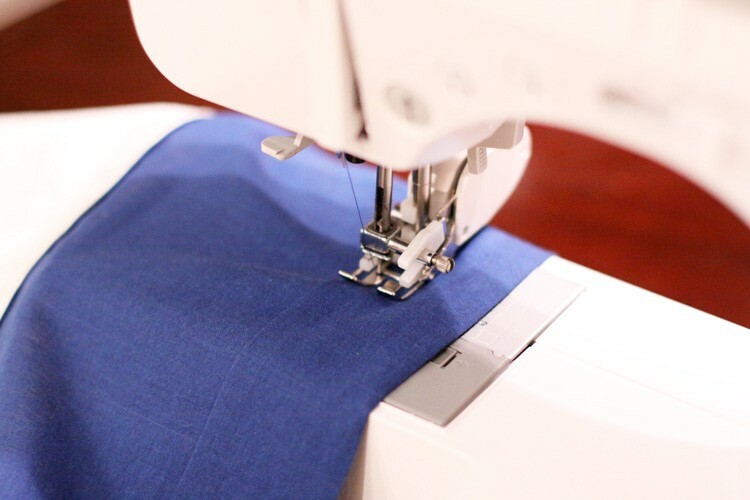 Press your seam and turn the skirt inside out so the right sides are together. Press. 11. 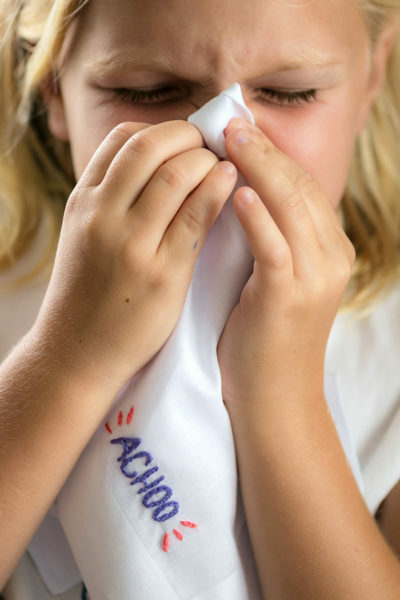 Now stitch a ½ inch seam. Press. 12. 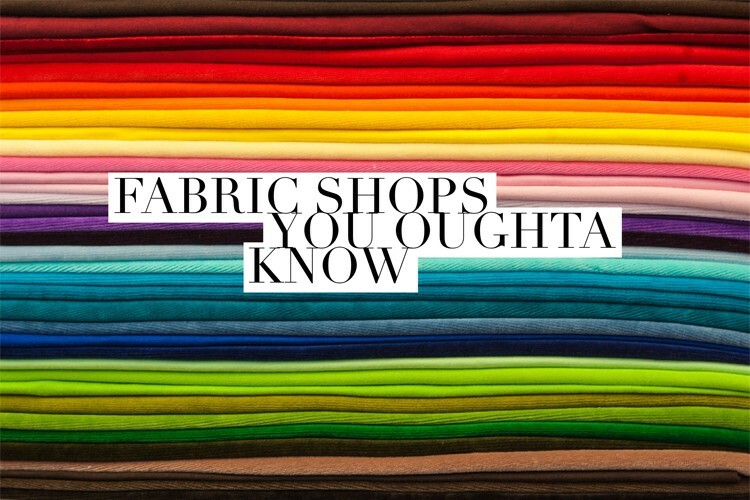 You should now have a loop of fabric with the top edge and the bottom edge unfinished. We are now going to insert the elastic waistband. 13. 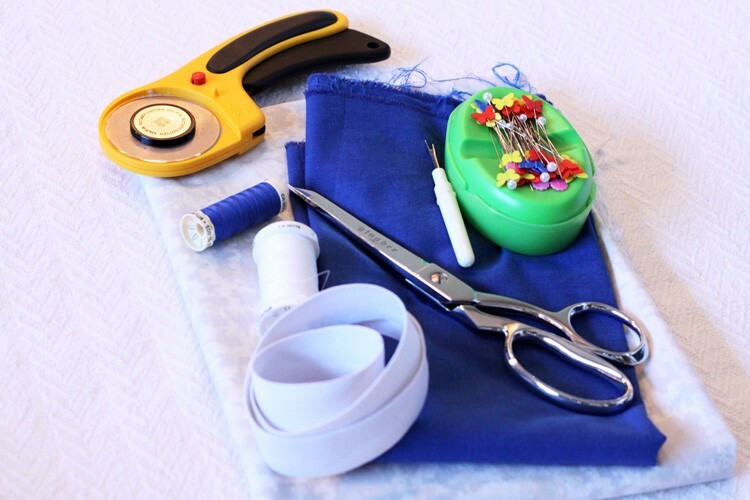 Turn your skirt inside out and fold the top edge down ¼ inch, press, and fold down another 1 ¼ inch, pressing again. This is going to be the casing for your elastic waistband. 14. Now stitch close to the edge of the folded down area, leaving about a 2 inch gap. We’ll need this gap to insert the elastic. Tip: I like to mark a horizontal line on each end of my elastic on the same side. I have a tendency to end up with a twisted elastic and this helps keep me oriented. 15. Place a pin at the end of the elastic and push it through the casing. 16. 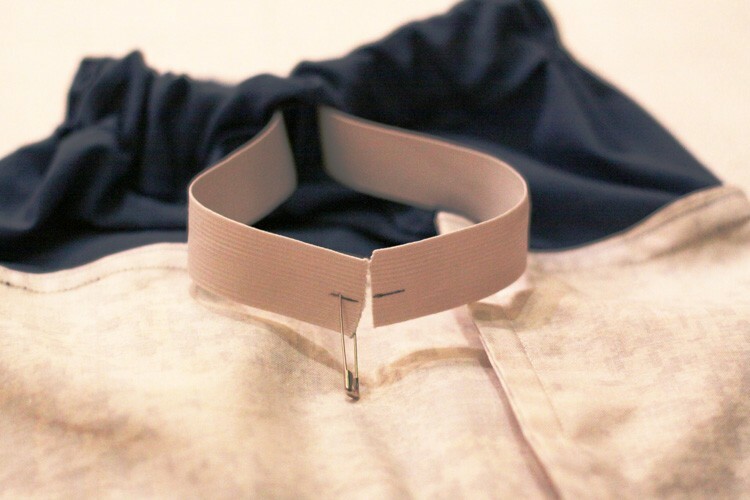 Once you have the elastic all the way through, line up your two end pieces, overlapping them by 1 inch, and sew them together, stitching and x-ed box. 17. Now, close the 2 inch gap in the bottom of the casing. 18. Put your skirt on and check where you want your hem to be and pin. 19. Now, just finish your hem. I folded my hem up ¼ inch, and then another ¼ inch and top stitched. Thank you so much to my awesome sister Laura of Laura Murray Photography for taking the pictures of my color block skirt. Who knew color-blocking would come this far? I love it! With more tutorials coming this month that feature this fabulous fashion trend, you won’t want to miss it! So so fabulous! The photography is beautiful, as well! Erin you are GORGEOUS!!! I was about to say the same thing! Beautiful pictures, beautiful model, beautiful skirt. Amazing! Aww, you ladies are so sweet! :)Thank you so much Vanessa and Palak! Cute skirt and well articulated tutorial! l love the french seams, but I don’t know that the given dimensions are going to fit over my hips. Maybe having some measuring of the hips in the instructions and then adding some extra inches and then dividing it by two for the different rectangle lengths would be good so that the tutorial is more universal for most women. (I hope this “constructive criticism” is helpful/welcome 🙂 ) Thanks again for a great tutorial, Erin! P.S. : And your first one yay!!!!!!!!!!!!!!! Aw, well done Erin! I appreciate the tip about marking the elastic. I’m a little twisted too, LOL. Jess, how great of you to be sharing the talent! I am so impressed by the ladies on the team Sue – each one of them are mega-stars, and I am honored to have them here! Erin here is AMAZING!!! Thanks so much! Ahhhhh that tip with the mark on the elastic!!! WHY do I only hear about that now – GENIUS!! I always fiddle with twisted up elastics. THANK YOU amazing Erin!! Ha ha! You’re welcome Mie! 🙂 The tip isn’t too useful if the elastic twists 360 degrees, but I find I usually end up with the elastic just twisted 180 degrees so this has been helpful for me. What size is this colorblock skirt? 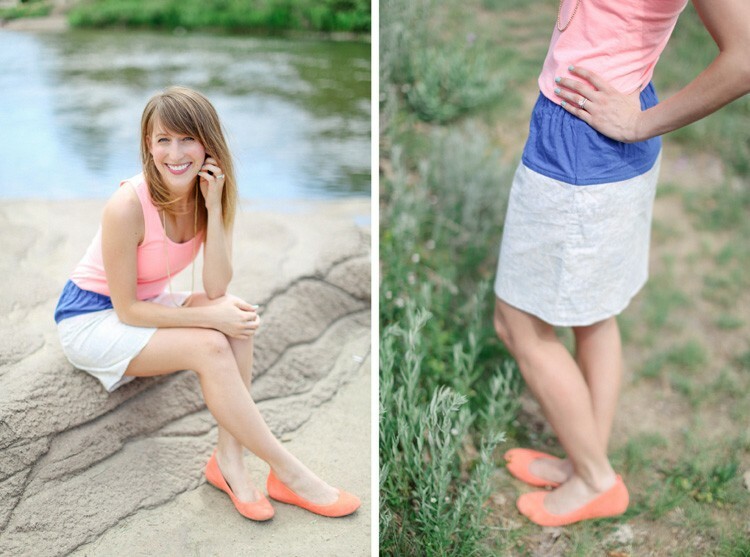 this skirt is so sweet- it might just be the right project to get me sewing for myself! Thanks you! and I’ve said it before- you photos are stunning! You are so sweet, Celina! Thank you! 🙂 Can’t wait to see what you create! That is so pretty! Erin, Blue and Gray contrast look stunning. Thanks for this skirt tutorial which is simple and awesome! Jess your team is amazing.